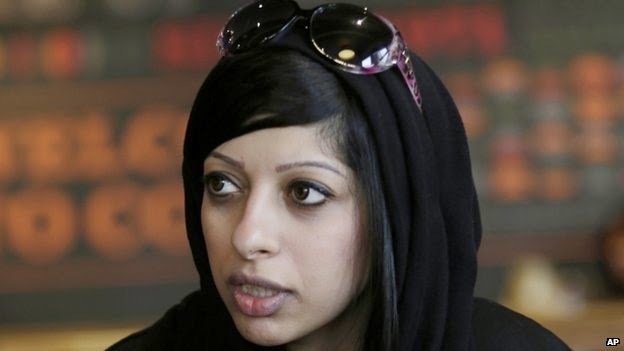 Bahraini pro-democracy activist Zainab al-Khawaja has been sentenced to three years in prison for tearing up a picture of King Hamad. A court gave her the option of paying a fine to remain at liberty until her appeal.Ms Khawaja, who comes from Bahrain's most prominent dissident family, faces other cases next week. Amnesty International said it would consider Ms Khawaja "a prisoner of conscience" if she were jailed. "Tearing up a photo of the head of state should not be a criminal offence," Amnesty's Middle East and North Africa Deputy Director Said Boumedouha said. "Amnesty International is calling for this and all of Zainab Al-Khawaja's other convictions to be quashed and all outstanding charges to be dropped." The dual Bahraini and Danish national has been detained several times since pro-democracy protests erupted in the Gulf island nation in 2011. Ms Khawaja was released from prison in February, after spending nearly a year behind the bars for participating in an illegal gathering and insulting police. She reportedly refused to appeal before higher courts because she believed that Bahrain's judiciary was controlled by the government. She also refused to pay bail. Earlier this week, her younger sister, Mariam, received a one-year sentence in absentia on charges of assaulting police officers.